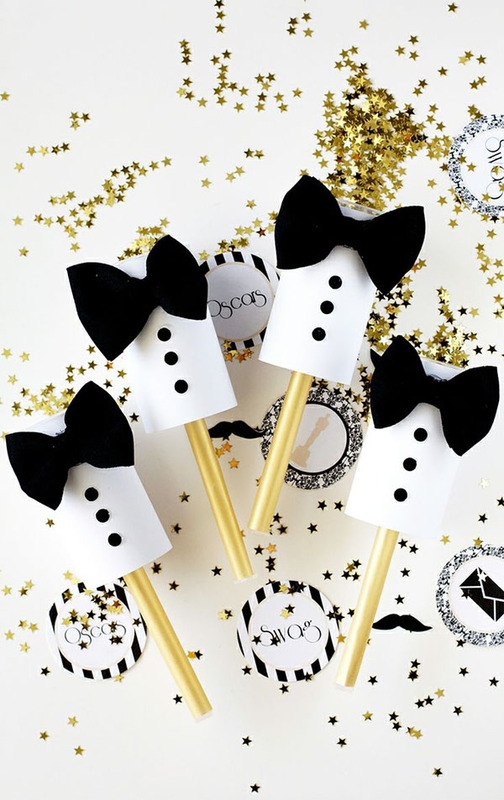 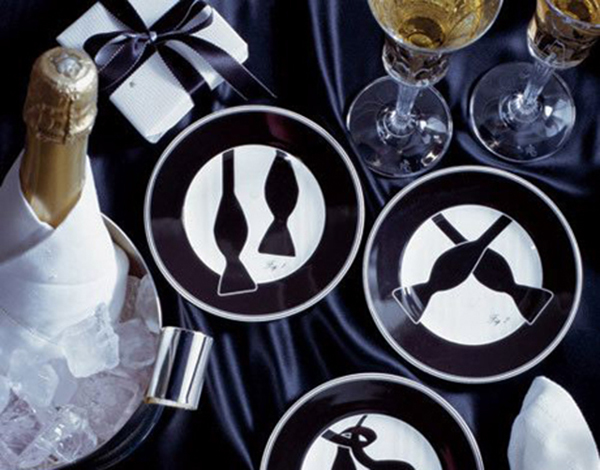 Today we are making your Oscar parties a little more snazzy with some Oscar party tuxedo ideas! 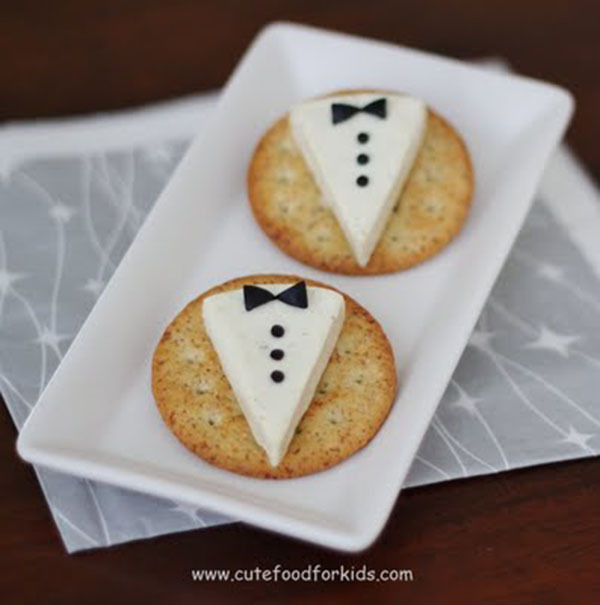 What we love about tuxedos for an Oscar party is that they make the details a little bit more sophisticated and swag. 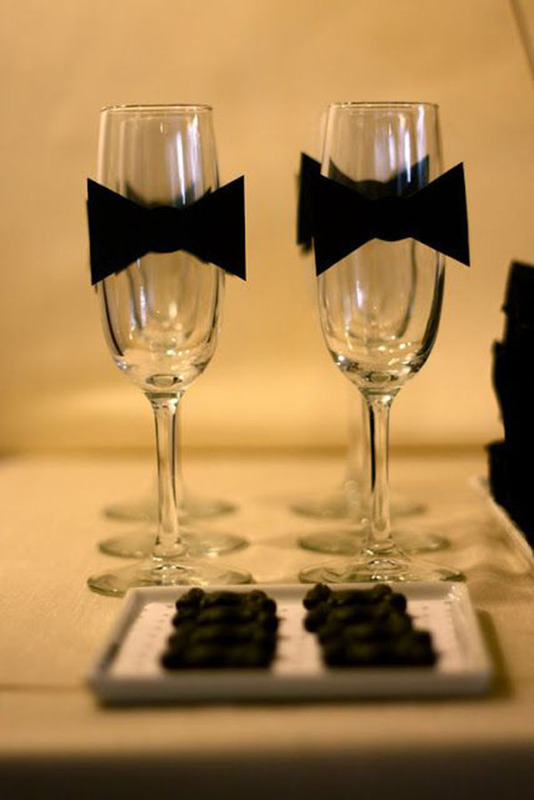 We also love bow ties. 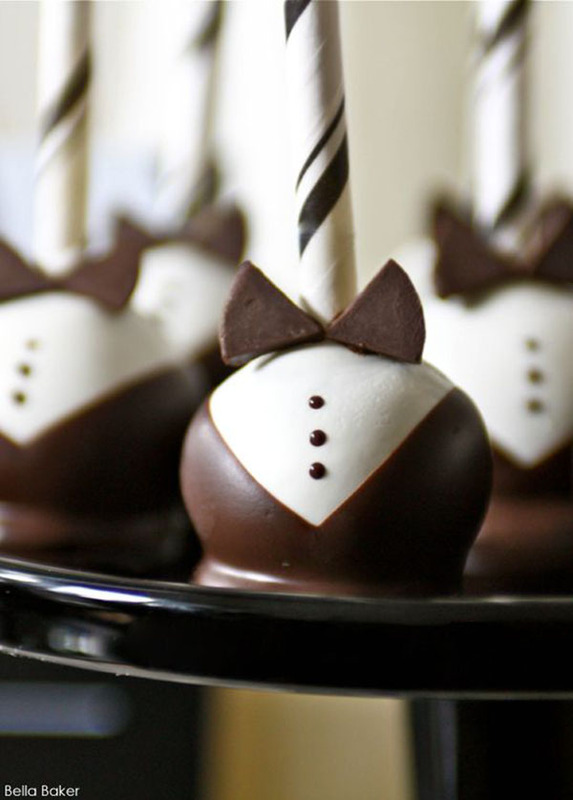 Add a black bow tie on anything and instantly make it a little more dapper. 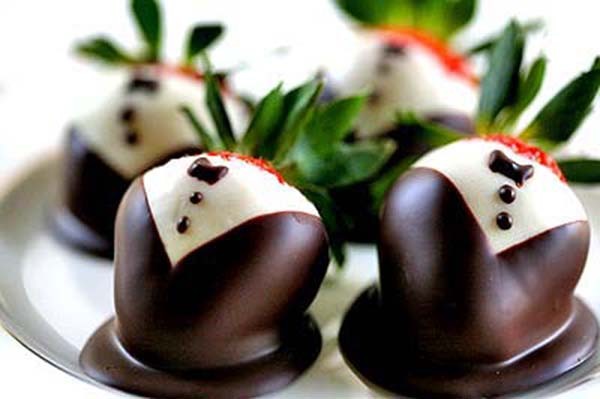 Almost anything can be turned into a tuxedo look too. 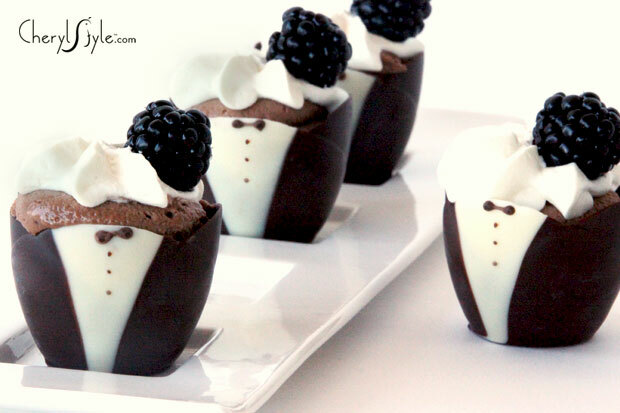 We were even surprised on some of these ideas we have rounded up that can look so lovely as a tuxedo. 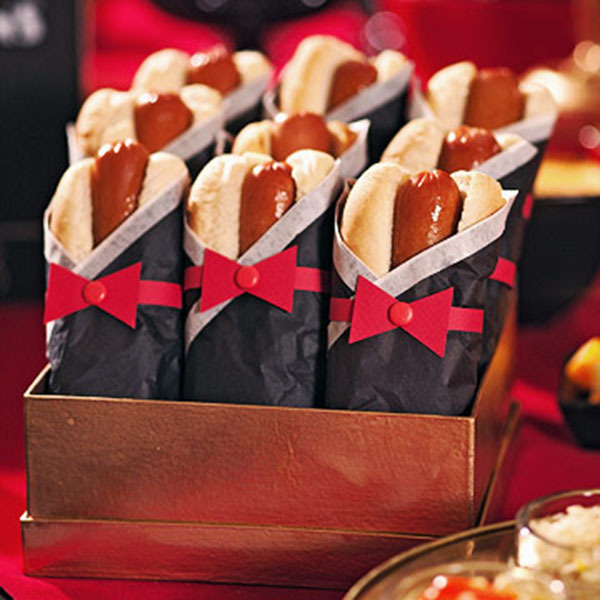 Things like cheeses, glasses and even hot dogs can be turned into a tuxedo for an Oscar party. 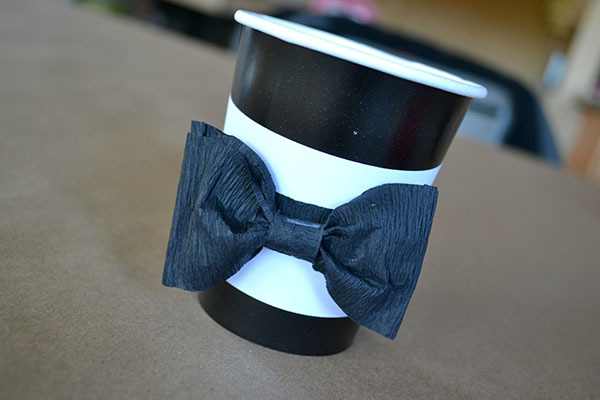 Again it is so easy to put a bow tie on anything, even ones you make yourself! 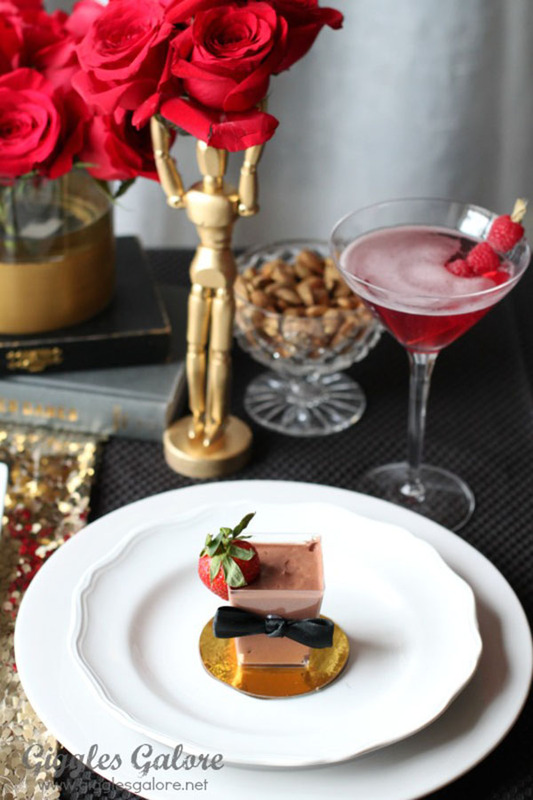 You will see how amazing these Oscar party tuxedo names can be!